A woman was killed and five others were injured in a shooting in Riviera Beach. Riviera Beach police said that the shooting occurred Monday night after a man began shouting at the group of six people. A 22-year-old woman died at the scene, while the five men, all in their 20s, were each shot and taken to a hospital. 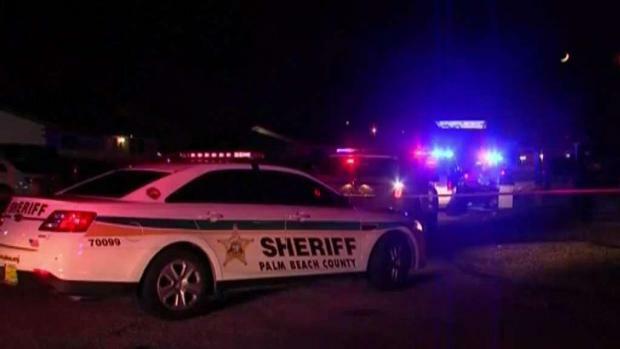 A woman has been killed and five men injured in a shooting in front of a Florida home. Riviera Beach police spokeswoman Rose Anne Brown said in a news release that the shooting occurred Monday night after a man began shouting at the group of six people. A 22-year-old woman died at the scene, while the five men, all in their 20s, were each shot and taken to a hospital. Brown says two of the men suffered potentially life-threatening injuries. Authorities believe the attack was targeted, but they did not comment on a motive or a suspect. Police believe the incident that took place outside a Riviera Beach home was one in which the victims were targeted.